Specialist family law firm Jones Myers is marking a double milestone – retaining its joint number 1 ranking in Chambers and The Legal 500 guides for over two decades. Legal 500 UK applauds the “well known and strong family law practice” and its strengths in handling both complex divorce proceedings and children related matters, including those with international elements. Acknowledging the firm’s collaborative experts as well as an in-house barrister and a former deputy judge, Chambers reinforces its ability to handle complicated children cases. Named as a Notable Practitioner and Leading Individual by both guides, Richard Peaker, head of the financial remedies department is described as “phenomenal” by Chambers. The guide also names the “very well-known and respected” founder Peter Jones and Kate Banerjee “Very much the leading child law expert in Leeds” who leads the internationally renowned children team as notable practitioners. The Chambers ranking covers Leeds, Bradford and the surrounding areas while the Legal 500 spans Leeds, West Yorkshire and North Yorkshire. Said Jones Myers founder Peter Jones, one of the country’s leading divorce lawyers and a former chair of Resolution, said: “We’re delighted that both Chambers and legal 500 have once again acknowledge us as an outstanding niche family law practice whose highly experienced lawyers are leaders in their field. Collaborative law specialist Norman Taylor and partner Sarah Dickinson are also recommended in this year’s guides. With offices in Leeds, Harrogate and North London, Jones Myers lawyers jointly combine 250 years’ legal experience. 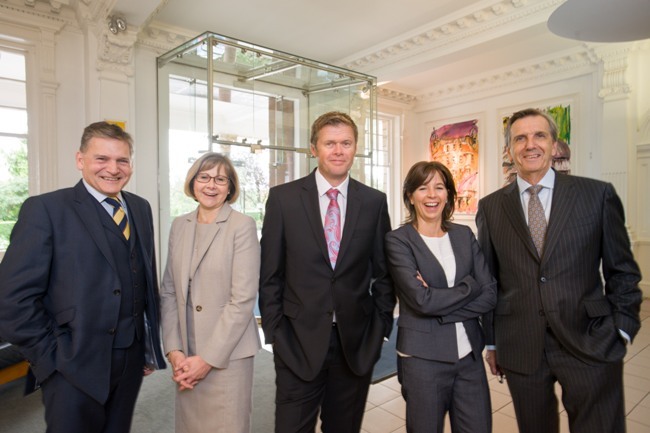 The only family law practice in Leeds with its own specialist in-house counsel, this month marks the first anniversary of the firm‘s expansion to Harrogate.